Hi My name is Dave I have been traveling the world since 2012. I am currently living in Siem Reap, Cambodia and have been here for over a year. I am a photographer and adventurer. I can show you around the temples or show you around the great city of Siem Reap. 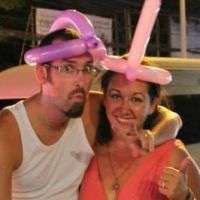 I have joined this website so I can show fellow travelers around Siem Reap and give them an insight to not only the local culture but also the expat community. My interests include music, traveling and exploring lesser known places. Australia, Thailand, Cambodia, Indonesia, Samoa, Fiji, Cook Islands, Nepal, Egypt, Italy, Germany, Czech Republic, France, England, Ireland, USA, Mexico, New Zealand.